Greenlight is delighted to welcome local author and illustrator Melissa Iwai (Soup Day, Hush Little Monster, Truck Stop) back to Story Time! This time around, Melissa presents her brand-new board book B is for Bulldozer, an exhilarating alphabet book about the creation of an amusement park, filled with trucks, bulldozers, forklifts... and finally a roller coaster! Join us for a reading of Melissa’s new book (and old favorites), and a special craft activity created by the author! Greenlight Bookstore is proud to participate in the nearly 100-year-old tradition of Children’s Book Week, May 13-19, with a celebration of the children’s authors and illustrators of Brooklyn. For our day-long Children’s Book Week Party on Saturday 18, Greenlight will offer 15% off on all children’s books all day long. To highlight the talents of many great children’s book illustrators, the store will host two rounds of Artist Battles, at 11 AM and 3 PM. Artists will take turns creating drawings of subjects determined by the audience of kids, showing off their different styles – the audience can pick their favorites! Afterward all illustrators will be available to sign books and chat with young readers. Greenlight will also offer bookmarks, stickers, and other book-related giveaways to partygoers. 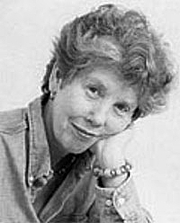 Anne F. Rockwell is currently considered a "single author." If one or more works are by a distinct, homonymous authors, go ahead and split the author. Anne F. Rockwell is composed of 6 names. You can examine and separate out names.